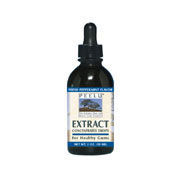 Peelu Extract is a natural dental care liquid that contains the concentrated essence of peelu root in a healthful balm of aloe vera, tea tree oil and vitamin C. Peelu Extract can be used on your toothbrush or massaged gently into gums. For whiter, brighter teeth, simply apply Peelu Extract to your toothbrush before brushing. For best results brush with Peelu Extract and Peelu Tooth Powder at bedtime. 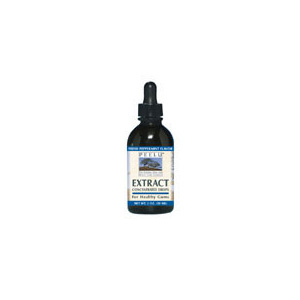 Extract of Peelu, purified water, vegetable gylcerine, sorbitol, xanthan gum, aloe vera gel, allantoin, tea tree oil, menthol, ascorbic acid (vitamin C), natural oil of peppermint, methylparaben (to retard spoilage). Peppermint Extract is shipped in a discrete, unmarked package. Orders are processed immediately and usually take about 3 to 5 working days to be received. We do ask that you try it for 2 to 3 weeks to feel the full effects. Any information received is used only for order processing and shipping purposes. Your information, such as e-mail address, will never be disclosed to a third party.